Nuggets 114, Grizzlies 85: Ty Lawson had 25 points and 11 assists and Arron Afflalo scored 23 points as host Denver routed Memphis. 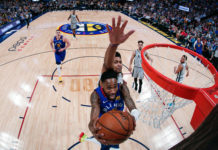 Wilson Chandler scored 15 points and Kenneth Faried had 13 points and 13 rebounds as the Nuggets ended a three-game losing streak. Rookie Jusuf Nurkic contributed 11 points, 10 rebounds and a season-best five blocked shots. Marc Gasol scored 18 points for the Grizzlies, who were without power forward Zach Randolph (knee) for the seventh consecutive contest. Rookie Jordan Adams had a season-best 12 points off the bench and Jon Leuer added 10 as the only other Memphis players to score in double digits. 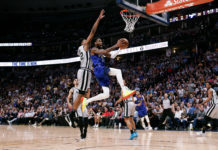 The Nuggets led by 11 points at halftime and made 12-of-19 shots in the third quarter to push the margin to 83-60 entering the final stanza. Denver’s lead reached 94-64 on Chandler’s 3-pointer with 7:35 to play and Gary Harris’ layup just prior to the midway point made it a 33-point differential as the Nuggets ended the Grizzlies’ three-game winning streak. Denver led by as many as 13 in the first half before settling for a 49-38 lead at the break. 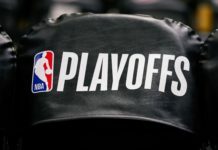 An 8-0 burst early in the third quarter increased the advantage to 17 points as the Nuggets began pulling away. GAME NOTEBOOK: Faried has five double-doubles over the last six games. … The Grizzlies were 2-of-14 from 3-point range. … Nurkic has back-to-back double-doubles, his first two as an NBA player.